When I saw this Clarity Challenge I immediately thought of what to me is the best and most wonderful 'New Beginning' ... the birth of a Baby... but then I puzzled over which of my many Clarity stamps would fit the bill. I have to admit I have had to use some artistic licence here as I have used the beautiful arty wired heart and wired star. I have tried to make them as balloon like as I could. They have been heat embossed with silver and coloured with promarkers, then I have used my Letterset stamps and masks, then used Clarity cloud mask to create the background. I then matted and layered onto complimentary cardstock and I was done. I have enjoyed an afternoon's play but now I better get over to the Clarity Challenge website and upload it because it is getting near to the deadline. WOW Annie!!! This is just BEAUTIFUL!!! Your clouds are gorgeous and the balloons look amazing!!! Have a WONERFUL weekend Annie!! Beautiful and clever Annie. Never in a million years would I have thought off using them like that. Beautiful card. Thanks for entering and best of luck. Annie, tried to leave a comment yesterday but my blogger was playing up so I am glad it's working today! Annie your card is gorgeous. 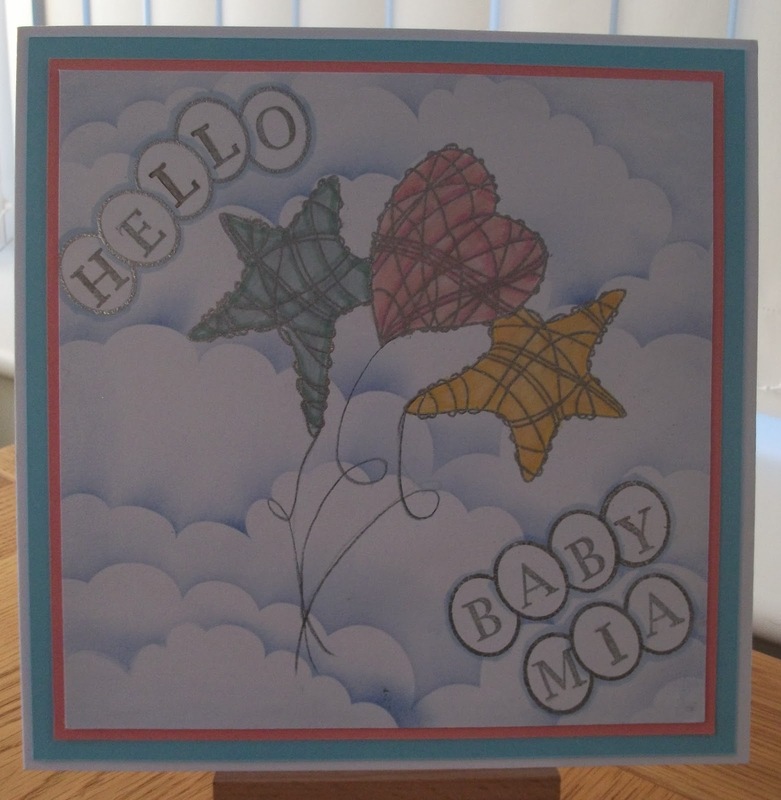 Love the way you've used the stamps and your clouds are fantastic.